The Caritas in Veritate Foundation is grounded in Christian values and the social teaching of the Catholic Church. The latter is predicated upon the ethical foundation of natural law and the complementarity of faith and reason. Drawing upon collaboration with international experts, the foundation promotes and disseminates the contributions of Christian social teaching in the international arena. The foundation aims to provide the representatives of the Holy See, the Order of Malta and Catholic NGOs in Geneva with practical knowledge and with the rich experience of experts searching for an effective attainment of truth and justice. The aim is to make the positions of the Catholic Church more understandable and visible, thus increasing their impact on the elaboration of international culture and law. 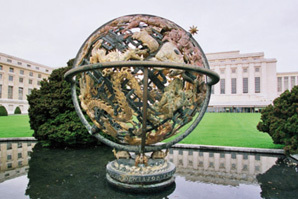 Geneva is the seat of some of the most important organs and specialized agencies of the United Nations. It is one of the most important centres of multilateral diplomacy in the world and hosts some 2500 conferences every year, making it an essential place for major international public debate. It is in Geneva that critical elements of a large part of current international culture and future international law are shaped. 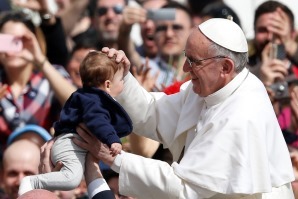 A Catholic presence is ensured by the Holy See, an Observer State at the United Nations and a member of some of the UN agencies: the Sovereign Order of Malta, Permanent Observer at the United Nations and over 30 Catholic NGOs. They represent and articulate the Catholic tradition and its values. 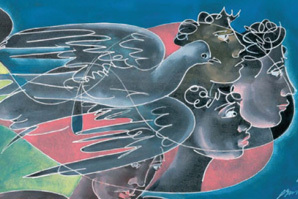 This participation in multilateral diplomacy enables the Catholic community, in a unique and universal manner, to uphold the dignity of every person and to practice solidarity with the human family. It represents a real and important contribution, which has a constructive impact. The Caritas in Veritate Foundation is pleased to present our tenth working paper. Recent decades have witnessed the consolidation of a global economic system strongly characterised by exclusion and inequality as a result of a largely excessive and misplaced trust in the omnipotence of the markets. Today, the distortions and dysfunctions of the free market economy tend to adversely affect the lives of individuals and communities more than ever before. Consequently, work itself, together with its dignity, is increasingly at risk of losing its value as a â€œgoodâ€� for the human person and becoming merely a means of exchange within asymmetrical social relations. This calls us to rethink and reconsider what labour is and what it means for the economy, society, policy- and decision-makers and the human being, as presented in the ILOâ€™s Centenary Initiative on the Future of Work. The crucial role played by work finds a consistent recognition in the Christian tradition and offers us a guide to â€œrethink labourâ€� by not only including the economic component but, more importantly, the social dimension. The Caritas in Veritate Foundation is pleased to present our eleventh working paper. The right to the highest attainable standard of physical and mental health is a basic human right. In the last decades, despite formal recognition of the right to health, its full enjoyment remains, for millions of people around the world, an elusive goal, due to obstacles in access to high quality, accessible, affordable, and acceptable life-saving medicines. Among the challenges experienced by many countries, there is a predominant emphasis on profitability of medicines and diagnostic tools, resulting in prohibitive price structures. This is the case for many people living with HIV and for millions of people to continue to be newly infected by this illness. Even though there has been much progress with the development of antiretroviral medicines for adults, children living with HIV have not been accorded priority attention in this field. These children are part of our future; they experience much suffering during their brief lives. Without access to early diagnosis and antiretroviral treatment, more than one-third of them die before their first birthday, and one-half die before their second birthday. Without continued, timely, effective and cooperative actions, HIV will continue to claim the lives of too many children and adolescents. There is an urgent need to implement attainable and measurable milestones in the efforts to end HIV among children by 2020 in order to â€œleave no child living with HIV behindâ€�. The collaboration between international organizations, governments, the private sector, non-governmental organizations and faith-based organizations is the key to close the gap between good intentions and the reality on the field.